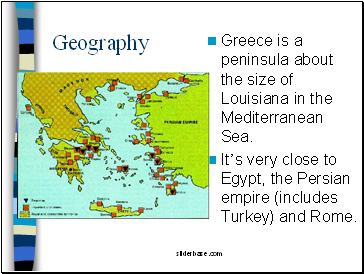 Greece is a peninsula about the size of Louisiana in the Mediterranean Sea. 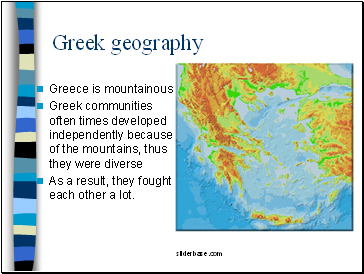 It’s very close to Egypt, the Persian empire (includes Turkey) and Rome. As a result, they fought each other a lot. 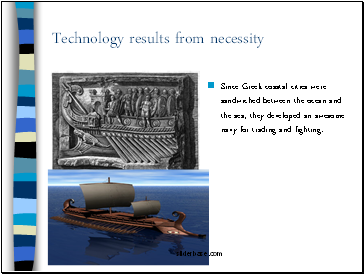 Since Greek coastal cities were sandwiched between the ocean and the sea, they developed an awesome navy for trading and fighting. 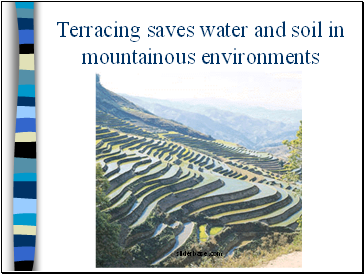 All cities need fresh water. 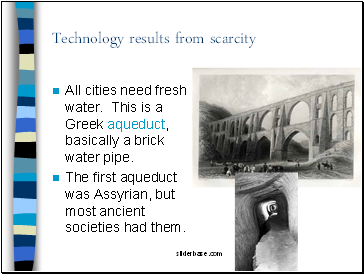 This is a Greek aqueduct, basically a brick water pipe. 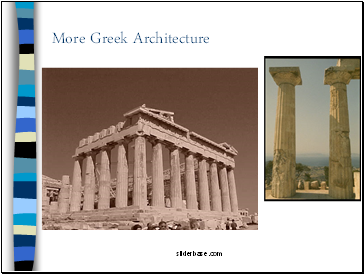 The first aqueduct was Assyrian, but most ancient societies had them. 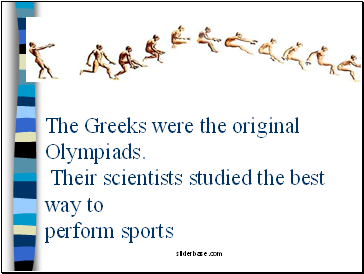 The Greeks were the original Olympiads. 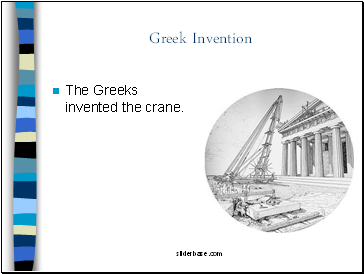 The Greeks invented the crane. 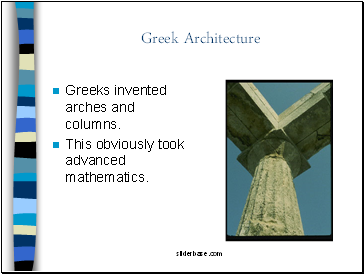 Greeks invented arches and columns. This obviously took advanced mathematics. 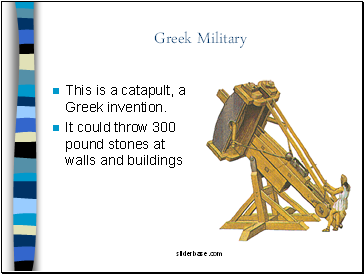 This is a catapult, a Greek invention. 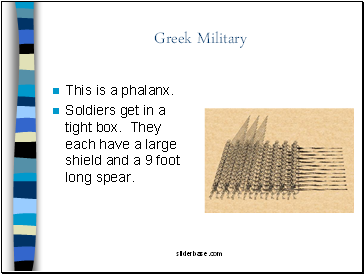 This is a hoplite, a Greek infantry soldier. 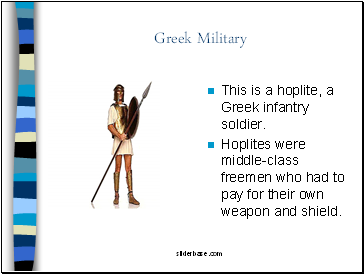 Hoplites were middle-class freemen who had to pay for their own weapon and shield. Soldiers get in a tight box. They each have a large shield and a 9 foot long spear. 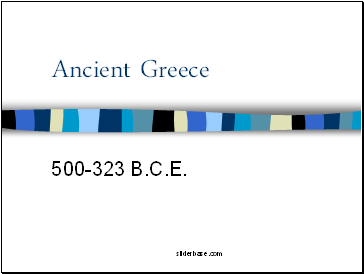 Political: Athens was the first democracy. 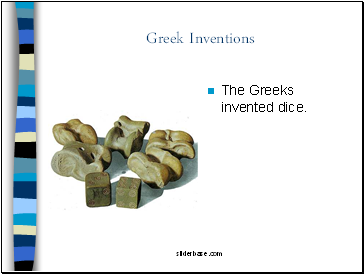 Alexander spread Hellenistic culture throughout Asia.